The range is composed by Sotrabat Black/White, Sotrabat Green/Black and Sotrabat Green/Green, manufactured by multilayer co-extrusion system with different thicknesses. Made of different copolymers, LDPE, LLDPE (lineal) and / or mLLDPE (metallocene). Reduction of cost and easy installation. 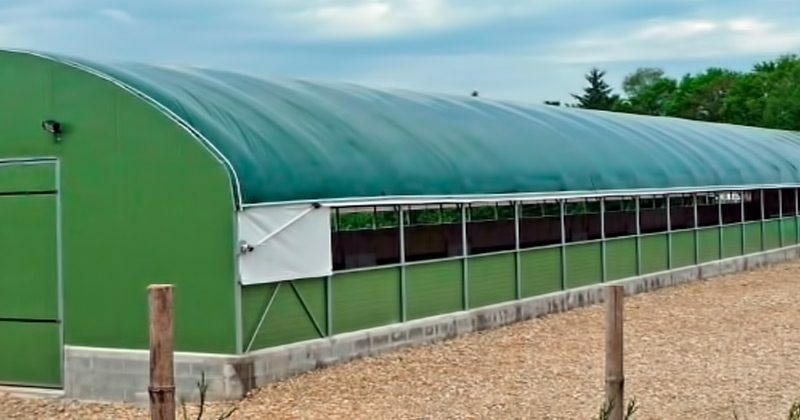 The structure could be easily transformed in a horticulture greenhouse, without modifications and important cost. The duration of the product will depend on the thicknesses, radiation of the place where the film it is going to be installed. It could oscillate from 55 months to 10 years.